The discovery of improved or even novel – not just new – materials or of hitherto-unknown properties of known materials to meet a specific scientific or industrial requirement is one of the most exciting and economically important applications of high-performance computing to date. In this talk I will discuss methods and applications how to extract knowledge from the resulting deluge of data. Specifically I will describe how to spot yet unseen patterns or structures in the data, by identifying the key atomic and collective physical actuators by compressed sensing and machine learning. This enables us to build maps of materials where different regions correspond to materials with different properties. As the connections between actuators and materials properties are intricate, attempts to describe the relationship in terms of an insightful physical model may be pointless. 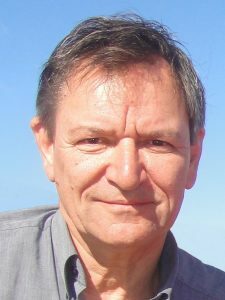 Matthias Scheffler obtained his PhD in Physics from the Technical University Berlin, Germany (1978), and was then scientific staff member at the Physikalisch-Technische Bundesanstalt in Braunschweig (1978-1987). In 1979/80 he spent a year at IBM Yorktown Heights. In 1988 he became founding director of the Theory Department of the Fritz Haber Institute, where he has been since then. He is honorary professor at all three universities in Berlin. In 2004 the University of California Santa Barbara appointed him “Distinguished Visiting Professor for Computational Material Science and Engineering”. Scheffler’s research focuses on understanding fundamental aspects of physical and chemical proper-ties of surfaces, interfaces, clusters, nanostructures, and bulk based on electronic structure theory. Present activities include catalytic reactions at surfaces, thermal conductivity, thermoelectric materials, inorganic/organic hybrid materials, and biophysics. These are multi-scale modeling studies linking first-principles electronic structure calculations, ab initio molecular dynamics, and methods from thermodynamics and statistical mechanics to enable understanding of meso- and macroscopic phenomena occurring under realistic (T, p) conditions. Additionally, he is engaged in developing theoretical methods to treat excited states and electron correlations, as well as computer codes to perform large-scale calculations on high-performance computers. In recent years he developed neural-network and compressed-sensing methods to identify structure and patterns in “big data of materials” and to create “maps of materials”. He is coordinating the European Center of Excellence for Novel Materials Discovery (NOMAD) which maintains the largest repository for computational materials science data and a materials encyclopedia. NOMAD also offers big-data tools in order to advance materials science and engineering. The video of this talk is available here.